The Algarve is a true paradise for a romantic getaway. Vast dreamy beaches with a warm turquoise sea set the mood for a vacation spent with your romantic partner. Stroll along the beach at sunset or embark on a private yacht and spend the night in the middle of the ocean with your loved one by your side and you will soon realize why the Algarve is such an excellent region for romance. Discover our tips for the most romantic destinations in the Algarve. 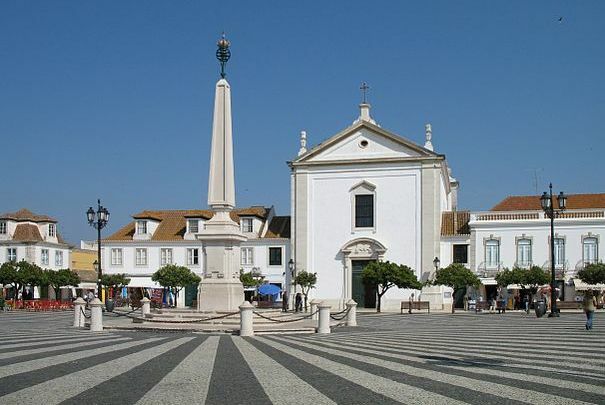 Tavira is a marvellous little town situated in the eastern part of the Algarve. Its charm comes from the 37 churches spread around a mixture of Arabic and Catholic architecture. River Gilão splits the town into two and it makes for a lovely evening stroll along its waters. But the most beautiful part of Tavira is its island. At the Island of Tavira you can find two breath-taking beaches: Barril’s Beach (Praia do Barril) and Tavira’s Island Beach (Praia da Ilha de Tavira). We strongly recommend that you visit these beaches at sunset or during a full moon. 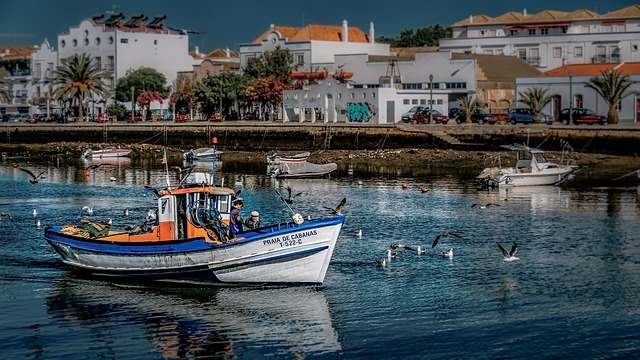 We also suggest that you and your partner take the boat tour to reach the island, as the route through the Ria Formosa Natural Reserve is absolutely stunning. 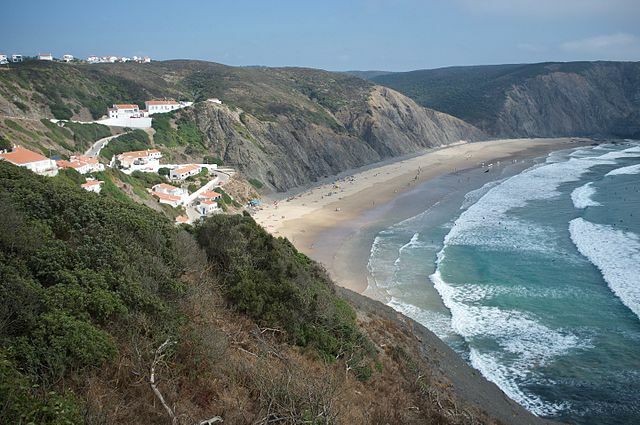 Aljezur is a discrete town located in Costa Vicentina on the west coast of Portugal. 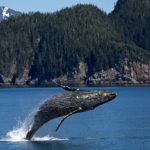 While popular among surfers, the town should also be on every couple’s romantic destination. Distant from big touist hubs, Aljezur is extremely quite at night and it has one of the starriest nights in Europe. If that is not enough, Aljezur is also a great place for camping, with lots of couples renting vans for a few days and parking in Aljezur to enjoy the nature. Be sure to stroll through Aljezur’s gigantic and deserted beaches. When the sun rises in Carvoeiro it sheds light over an old fishing village constituted of white-washed houses overlooking the Atlantic Ocean. The town is popular among couples looking to get away for a few days. 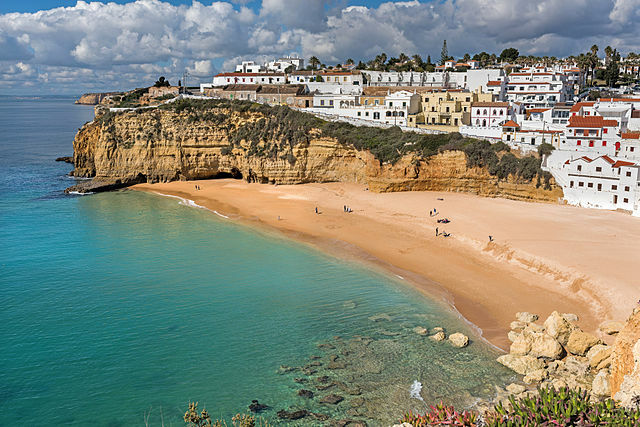 Relaxing on Carvoeiro’s famous beaches is the perfect activity to do there, as there is general serenity exhaled by the town that quickly grows into our body. We also strongly recommend that you take this opportunity to visit Benagil Cave, the 15th most beautiful cave in the world as ranked by the Michelin Guide, and Marinha Beach, which was regarded as one of top10 beaches in Europe and one of the 100 most beautiful in the world. Wikimedia Commons by Jose A.
Ossónoba, Faro’s ancient name, was constantly fought over by Romans, Byzantines, Visigoths, Moors and, finally, Christians. After the armies of King Dom Afonso III conquered the city walls, Faro became a prosperous city, eventually becoming the Algarve’s capital. Because of its huge Arabic influence, Faro conserves an exotic feeling that is best discovered with your romantic partner. The city’s cosmopolitan vibe and lively mood turn each night into a celebration. You should also visit Faro Island so that you can spend entire days on empty beaches with only your loved one, making this the perfect romantic beach destination. Lagos is often described as heaven on Earth because of its beautiful coast. 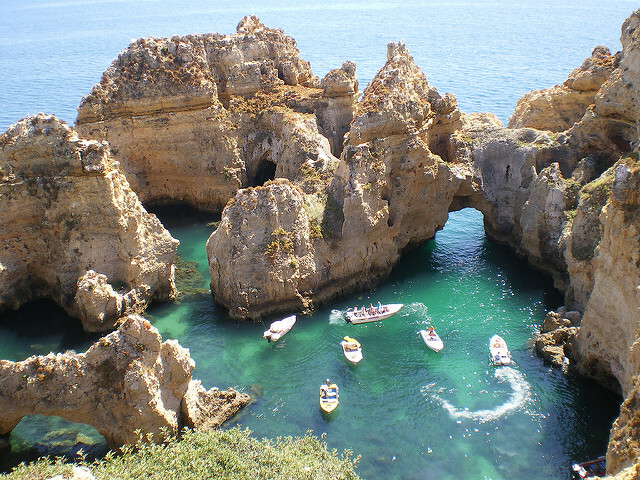 Just head to the area of Ponta da Piedade with its multi-coloured rock formations, a transparent sea and imposing cliffs and you will feel thankful that you ever got the opportunity to see such ravishing nature. This is why Lagos appears on this list. The happiness one feels when seeing this natural monument is often enhanced when shared with a loved one. Besides that, the extraordinary beaches of Lagos with mysterious caves will make you feel like you are in a fairy tale where everything is possible. Vila Real de Santo António sits on the furthest eastern part of the Algarve, right before the border with Spain. Bathed by the River Guadiana, Vila Real de Santo António seems to have stopped in time and to be immune to the tourist crowds that come pouring in to the Algarve during summer. Its cobbled streets and the white-washed houses with red roofs create a picturesque scenario that suits romance. However, the most romantic aspect of Vila Real de Santo António is often a cruise along the river Guadiana. 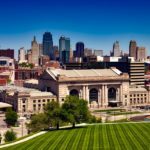 This cruise is particularly aimed at couples, as the scenic view from the cruise is absolutely incredible and takes in both Portugal and Spain in one trip. Al-Bûr, as it was named under the Moorish occupation, is the neighbouring to town to Portimão and it was conquered by the armies of King Dom Sancho I in 1189. Alvor is a discrete town that doesn’t attract lots of attention, making it the ideal place to spend vacations with your romantic partner. 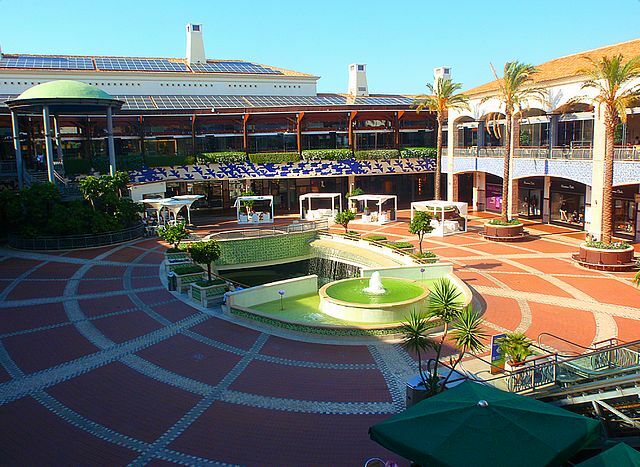 At the same time, its proximity to Portimão means you can easily enjoy the best things the city has to offer. The Brothers’ Beach (Praia dos Três Irmãos), Submarine’s Beach (Praia do Submarino) and Alvor’s Beach (Praia de Alvor) are three excellent beaches that manage to escape the tourists’ radar during the warm summer months. A guest post by Algarve Fun’s writer Vicente Lourenço. Having spent most of his life in the Algarve, Vicente knows most of its secrets and loves to share it with newcomers. He likes travelling, outdoor sports and exotic food.